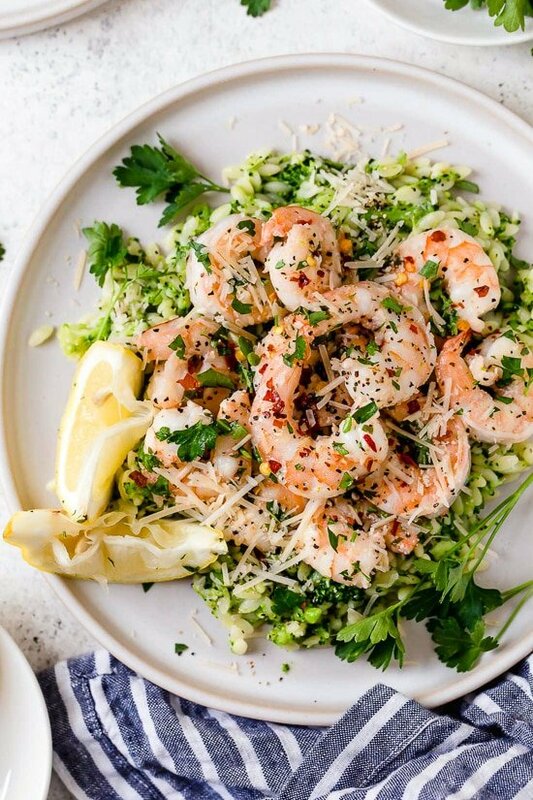 This quick and easy Shrimp Scampi with Broccoli Orzo is a dish the whole family will love and it’s ready in under 30 minutes! Shrimp scampi is usually swimming in butter, this lightened version is just as delicious, using only a touch of butter and lots of fresh lemon. My kids love Pasta and Broccoli, sometimes I make it as a main dish, but also makes a great side dish using any small pasta shape like orzo or ditalini which worked great in this dish. If you want an easy way to bake your shrimp instead, you can try this Easy Baked Shrimp recipe.